•	Black Tea, The Tea of the Masses: Black tea is the most commonly consumed tea in the world accounting for approximately 68% of all consumption.In the US, well over 80% of the tea consumed is black. Black teas are fully oxidized* and pair well with creamy desserts, chocolate and spicy jerk chicken. •	Green Tea, The Tea of Well-being: Green tea is heated after plucking to prevent oxidation. Heating can be done by either steaming or pan-firing the tea, which denatures enzymes that would cause oxidation to take place. 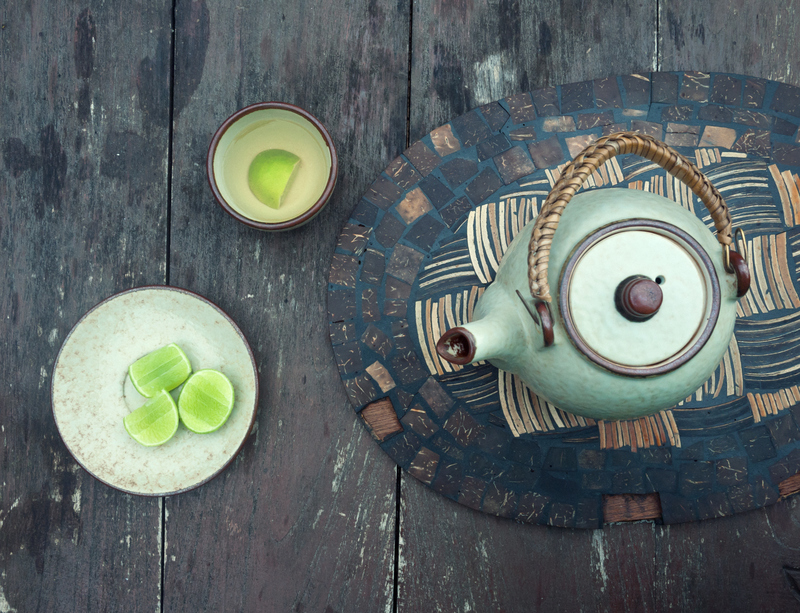 Green tea is the most popular form of tea in China and Japan, and pairs well with chicken, melon and key lime pie. •	White Tea, The Tea of Delicacy: White Tea's origins are found in the Fujian province of China around A.D. 1000 and it is considered to be amongst the rarest of teas and possess the most delicate flavor. Today, its production follows very strict harvesting and processing requirements. One type of white tea looks like silver needles and pairs well with freshly sliced fruit, light fish and salads.